Home » Acupuncture and Its Theories » How Long is The Right Acupuncture Treatment Time? Are there really the univeral fixed time for acupuncture treatment to be effective, regardless of what symptoms and how old, male or female and so on? If not, how long should be that, what is the scientific or theoretical background behind it? Since I, myself have some different needle retention time for different patient with different health issues, It would be better for people having acupuncture or planning to have acupuncture to understand the different acupuncture treatment time. Acupuncture Treatment Time( Needle Retention Time): How long you have needles on the body. There have been people asking me of the needle retention time or actual treatment time. Some seem to believe that the longer is the better in having needles on the body, some want to know why I give the different duration for each different condition and so on. Then why some acupuncturists give longer time (some longer than 30 min, even 1 hour) and some shorter(10min)? 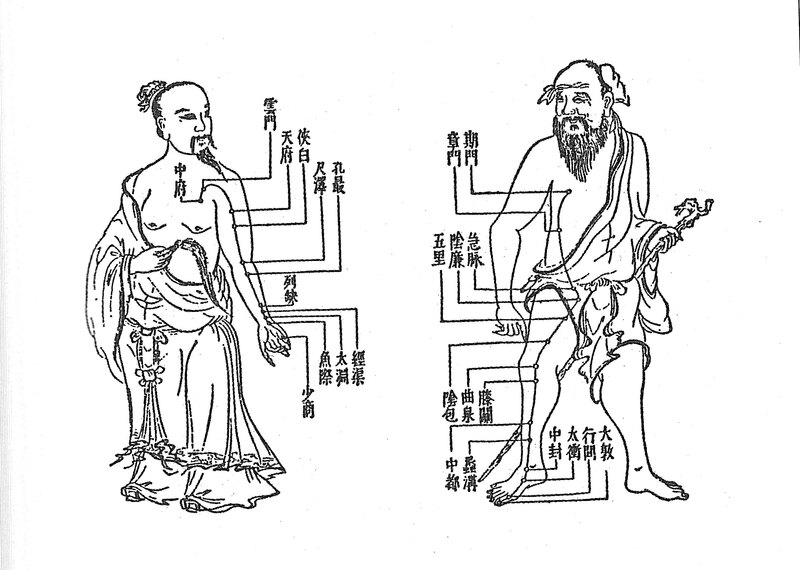 According to The Nan Jing , Qi and Blood move through the meridians at the rate of six cun* for each complete inhalation and exhalation. The total length of the Meridians and Collaterals equals 1620 cun. 1620 divided by 6 equals 270, so it is said that 270 breaths are required for Qi to make one complete cycle through the body. However, this number could vary based on a person’s breath rate. If a person breathes 14 times/minute, it will take 20 minutes (270/14) for Qi to make a complete cycle. If a person breathes 18 times/minute, only 15 minutes (270/18) will be needed for Qi to make the complete cycle. Therefore needle retention time can be calculated around 15-20 minutes. And also many studies and researches in acupuncture analgesia have been showing after 15-20 min of acupuncture, Pain threshold increased. Conclusion: How long is the right time for having needle in a session?